MagneticOne Team took part in Lviv Ecommerce Forum to share our company experience to Ukrainian IT - community. Ruslan Savchyshyn, director of MagneticOne, made a speech about world payment systems and their using in Ukraine. This information was especially useful because of its practical aspect. 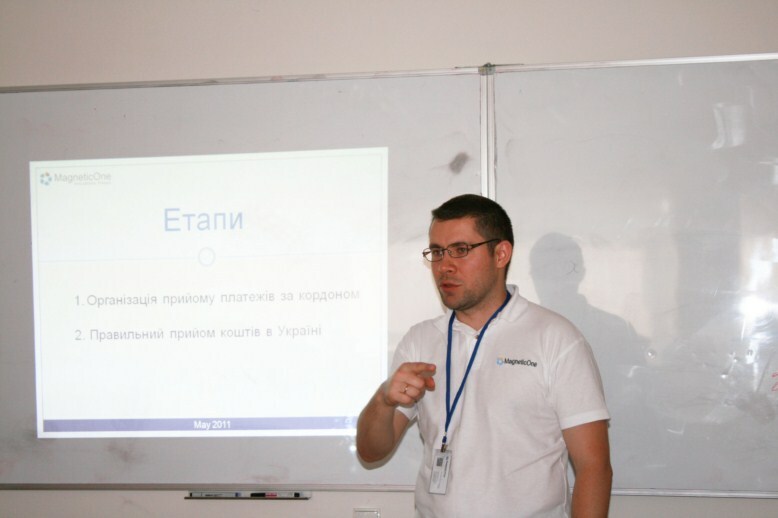 Ruslan talked about e-commerce in general, its trends in Ukraine. MagneticOne director had talked about KPI in business. According to Ruslan’s opinion every success company needs KPI to set priorities, get motivation, find out true analytics, and make your business successful. Oleg Cherevatyy - commercial director of MagneticOne held a speech about shopping carts and the needs of their users. He also talked how to create your own e-commerce store and start working with your customers. Anatoliy Denys - project manager of Cart2Cart had reviewed different shopping carts and their functionality. He showed the advantages and disadvantages of the most popular e-commerce platforms. 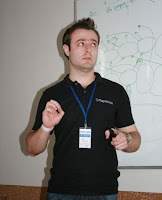 Anatoliy also talked about Cart2Cart shopping cart migration service and its benefits. This e-commerce meeting was full of helpful theory and practice. We’ve shared ideas, made useful contacts and just had a great time. Last 7 Days Before Price Goes Up ! Hurry up! 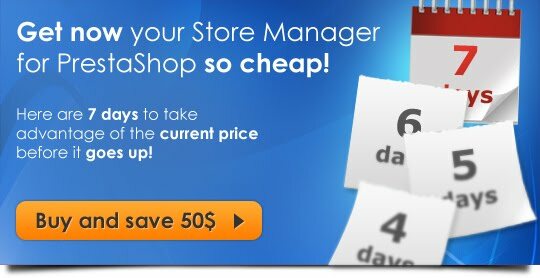 This is the last week to get Store Manager for PrestaShop for special "early bird" price! You can save $50 ordering it now because on May, 18th it would cost $199.